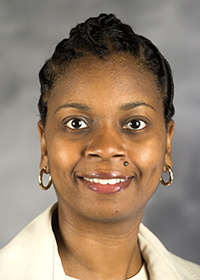 Tara T. Green is Professor of AADS and the Linda Arnold Carlisle Excellence Professor of Women’s and Gender Studies. She received her bachelor’s degree in English from Dillard University in New Orleans and her Master’s and doctorate in English, with an emphasis in African American literature from Louisiana State University. She served as director of AADS from 2008 to 2016. Before coming to UNCG, she taught at universities in Louisiana and Arizona. Her research interests include African American autobiographies, twentieth century novels, gender studies, Black southern studies, African literature, and the U.S. Black diaspora. She has published numerous articles and made presentations in these areas of research. Her books From the Plantation to the Prison: African American Confinement Literature (Mercer UP, 2008), A Fatherless Child: Autobiographical Perspectives of African American Men (U of Missouri P, 2009; winner of 2011 National Council for Black Studies for Outstanding Publication in Africana Studies), Presenting Oprah Winfrey, Her Films, and African American Literature (Palgrave Macmillan, 2013), and Reimagining the Middle Passage: Black Resistance in Literature, Television, and Song (Ohio UP, 2018), reflect her interests in African American literary and interdisciplinary studies. Inspired by her fondness for New Orleans, she is completing a manuscript on Alice Dunbar-Nelson, a writer and activist from New Orleans. In addition to presenting locally and nationally, she has presented her research in England, the Caribbean, and Africa. Dr. Green is the immediate past president of the Langston Hughes Society and serves on the executive committee of SAMLA. She enjoys mentoring students and working with community organizations.